Click the button below to add the Body Lotion #Natural Body Lotion - Men's Skin# to your wish list. Cure and banish your dry, flakey or cracked skin forever with a healthier alternative! Many lotions, even thick ones do not provide enough moisture because they are made with too much water and chemical fillers like Isopropyl Palmitate, Stearic Acid, Dimethicone (aka Silicone), and others. So as soon as the water dries, your skin becomes dry again. On the other hand, some lotions become oily and greasy and do not absorb well. These are made mostly with Mineral Oil, Petrolatum or others that when combined with chemical ingredients help these to have a nice appearance and feel. These petroleum-based ingredients may suffocate the skin. The ingredients mentioned above do not have any nutritive value to provide your skin. They do not have any vitamins, minerals, proteins, skin loving fats, and are not antibacterial or antifungal. Why then use ingredients like Mineral Oil and Petrolatum? At pennies per pound, there are large profits to be made at the expense of your skin care. Imagine now that you found a moisturizer that added value to your skin with each use. How much better and faster would your skin improve? Exclusive to our formula and crafted with ingredients that add value to your skin care routine. Our body lotion is made with pure concentrated plant butters, oils and essentials that absorb quickly for maximum results and instant, deep, soothing comfort that will last all day. If your dry skin could talk, it would say thank you as nutrients from Tucuma and Camellia nourish and replenish your skin with much needed moisture. This ultra-rich thick lotion melts into skin without being oily, leaving it radiant and smooth. Emollient-rich Meodowfoam, Andiroba and Aloe Vera are loaded with antioxidants and vitamins, delivering lasting benefits for naturally healthier looking skin. Lightly scented with the nutritive essentials from Sweet Orange Blossom blended with Rose, Palmarosa and a hint of Geranium to make moisturizing a refreshing, aromatic experience. I am in my 60's and have very dry sensitive skin, so finding something that suits me has been hard. No moisturizer was right, lots of brands from Olay, Lancome, Clinique etc either didn't do much, or made skin oily or caused me to break out. This body lotion made my skin so soft, smooth, not oily with enough moisture to last the day. Also no breakouts. Love it and so happy to have found it! In just days, you will begin to see dull, dry skin transform into skin that beams with healthy radiance and silky softness. More than coating the top layer, this lotion penetrates to hydrate, heal and soothe. Blended with pure plant essentials, this rich mix of natural nutrients instantly relieves dryness, replenishes moisture and enhances your skins own moisture barrier. Made with natures lush moisturizing Tucuma and Cocoa, known to help repair, soften and heal skin. This stuff is amazing! I use it every day after showering for my sensitive skin that's prone to eczema. Never irritates, always hydrates well. So many body moisturizers claim to not be greasy, but they usually are. This absorbs into the skin very rapidly, creating a protective barrier that lasts all day. A little bit goes a long way. What I like the most about this body lotion is how great it makes my skin feel. No more dry, flakey, itchy skin. Highly recommended! I was a little cautious with purchasing this lotion because of the price. I was overly joyed when I used it. I've been using it daily for a couple weeks. My skin is usually very dry and bumpy. After using the lotion my skin has never been smoother. The body lotion is thick but absorbs quickly. Not oily at all. My mother used it on her face one time and loved it so much she took my bottle, forcing me to buy another bottle. Will keep buying when I run out. We love this lotion! My husband has super dry cracked skin and I have sensitive skin. This body lotion works wonderfully for both of us. It keeps our skin smooth and soft. Great lotion, silky without oily residue. GREAT smell. I love this body lotion. This lotion is thick and easy to apply and spread. I work constantly with my hands at my job and wash them more often than most. Both activities dry out my skin and this lotion has been a real saver for me. I no longer have cracked dry or itchy skin. 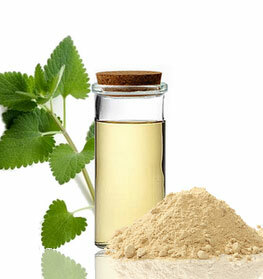 I feel the natural ingredients make all the difference in the world to my skin. Product easily absorbs into skin and does not feel greasy. This body lotion soothes, refreshes, calms, and comforts my skin. This has improved my feet considerably! It’s a keeper. Body lotion made fresh in the USA. Gentle formula is safe for all skin types. For a more radiant, healthier glow with enhanced skin tone. Naturally helps restore skin hydration and moisture levels with long-lasting moisture. Non-greasy soothing body lotion relieves dry, tight skin all day long. Aloe Vera nourishes and moisturizes skin. Black Currant Seed Oil moisturizes and improves skin elasticity, dryness and skin lines. 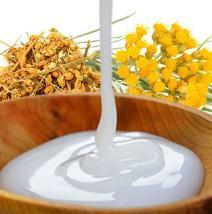 Meadowfoam Oil locks in moisture and nutrients in the skin. Broccoli Seed Oil has skin-rejuvenating abilities that help maintain fresh, youthful skin. Camellia Seed and Macadamia Nut oils are vitamin rich, long lasting moisturizers. Apply all over the body, ideally to just-bathed, barely dry and damp skin to seal in moisture. Use immediately after showering or bathing for even better results. • Can be applied every day. • This product can be used on the face as well. Aloe Barbadensis (Aloe Vera Hydrosol), Astrocaryum Vulgare (Tucuma Butter), Ribes Nigrum (Black Currant Seed) Oil, Limnanthes Alba (Meadow-foam) Oil, Brassica Oleracea Italica (Broccoli Seed) Oil, Carapa Guianensis (Andiroba) Oil, Camellia Oleifera (Camellia Seed) Oil, Prunus Amygdalus (Almond) Oil, Vitis Vinifera (Grapeseed) Oil, Theobroma Cacao (Cocoa Butter), Macadamia Integrifolia (Macadamia Nut) Oil, Myrica Pubescens Fruit Wax (Laurel) Wax, Cetyl Alcohol, Glyceryl Stearate, Sodium Lauroyl Lactylate, Guar hydroxypropyltrimonium, Caprylyl Glycol, Glycerin, Cymbopogon Martinii (Palmarosa) Oil, Citrus Sinensis (Orange Peel) Oil, Glyceryl Caprylate, Phenethyl Alcohol, Pelargonium Graveolens (Rose Geranium) Oil. The best body lotion on the market! I have dry and sensitive skin, this clears up both of my issues. A dear friend introduced me to this lotion and now I use it everywhere. Every morning I put this on after the shower and it feels wonderful and has such a fresh and nutritive scent. Better yet, it leaves my skin moisturized for the entire day. I love that I am putting nutritive moisturizers on my skin they feel great. This lotion is amazing...you need such a small amount, that it pays for itself! It smells so fresh and lovely...very feminine without being too overpowering or sweet. The texture is perfect, it's not oily AT ALL and because you only need a tiny amount, this will last you forever! I bought a lotion for my mother also, and she is in heaven! PERFECTION! This is the only body lotion I can use. I have very sensitive itchy skin. Other lotions make my skin itchier but this nutritive lotion. It soothes and moisturizes. Best stuff ever. Worth the money! This is the only lotion I have found that moisturizes my body after showering, and lasts the whole day. It goes on easily and does not smell perfumery, so a man could use it too. It moisturizes and lasts best. I can't be without this botanical body lotion it is GREAT! You know how the back of your arms can get dry and bumpy? Well, this stuff works magic! I use to exfoliate the back of my arms weekly but since I started using this I no longer have to! Give this nutritive body lotion a week or two to transform your skin and then you'll be addicted! This is worth every penny! This has got to be the MOST wonderful and effective moisturizer ever!! It penetrates, leaves skin soft without feeling greasy...the absolute best! I bought this for my fiancé. It does not have a strong smell, and he loves it compared to other lotions. I would say it does an excellent job. Keep my skin moisturized all day and has a natural scent. It can be used any time of the day but I put it in the shower and I'm good all day. I love this lotion. I originally bought this for my dad. He loves it and I try it from time to time. Just Nutritive has great products and I'm happy they make skincare that does have a ton of chemicals. This is a great lotion for men of all skin types. It heals and moisturizes my rough patches. It is not greasy or sticky. It is a must try. I really like this lotion! I have dry skin and it helps keep my skin super smooth! I also like that it is not perfumey or heavily fragranced.